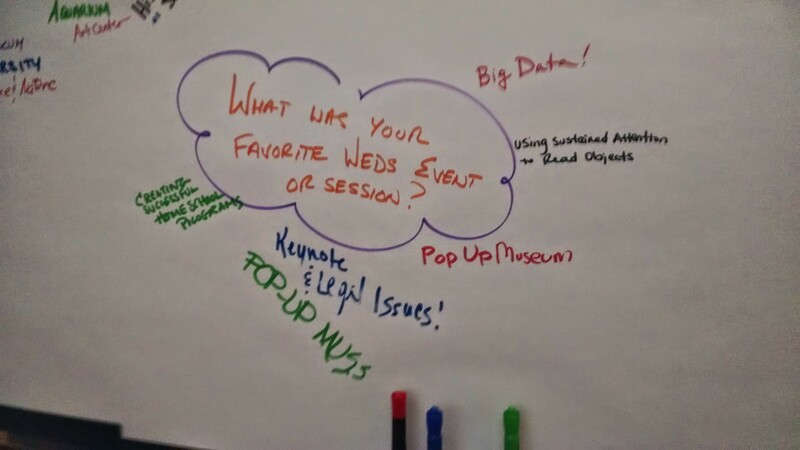 Last week I was lucky to work with a great team of folks to talk about using pop culture in the museum world: its successes, pitfalls, opportunities, and risks. 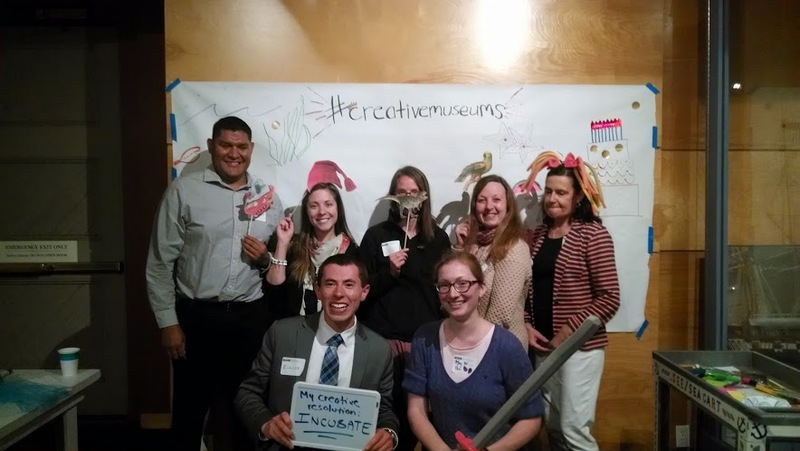 The workshop was organized through the auspices of the New England Museum Association, and we were hosted by the fantastic staff of the Charles River Museum of Industry and Innovation in Waltham, MA. The workshop covered a lot; not just the whys and hows of integrating pop culture, but also discussing the rewards of taking risks, identifying partners in collaborative projects, and case studies in exhibit and festival design. We also got into some good and meaty topics right at the end of the day, which I’m looking forward to continuing when we do a follow up session at the NEMA conference this November. Why Use a Pop-Culture Hook? Mission is key, but pop culture (or anything else with a devoted following of fans) can be a great hook to bring in new audiences, or to give your current visitors a way to connect with your collections and mission differently. In all of these examples (though least of all exhibits, which usually are their own draw), timeliness is an important factor. It’s really easy to hop onto a wave too late, or to leave insufficient time to work with the other departments in your museum to get on their project calendars for design, marketing, or fabrication. For instance, I once wrote a really cool activity guide tying the Peabody Essex Museum collections to locations and events in Middle Earth around the time the first Hobbit movie was coming out, but it coincided with a massive workload for the creative services team at the museum, who were swamped by an upcoming exhibit and had no time to design the guide. Thus, it never materialized. This is outside my institution’s comfort zone. Why take the risk? Exhibit designer Margaret Middleton (@magmidd) led us all in a series of exercises to help identify our own sense of risk-taking. Were we risk-takers or risk-averse? Were we risk-enablers for others in our institutions? What topics could be considered low-risk or high-risk for a program or exhibition? In a different context, would the risk level be different? She also strongly suggested that ‘risk’ is the wrong end of the stick. While being aware of potential hazards (and taking steps to mitigate them) is important, Margaret suggested that we should reframe these opportunities as ‘potential rewards’ instead of risks. What happens if you let a seven year old use real, sharp tools? What happens if you host that conversation on voting rights in modern America? What’s the harm in tweeting an article about climate change if your museum has an upcoming show about the Arctic & Antarctic? How much negativity are you ready for, and how will you deal with it? Can you point to all your decisions being mission-driven, and if so, what’s the risk, really? 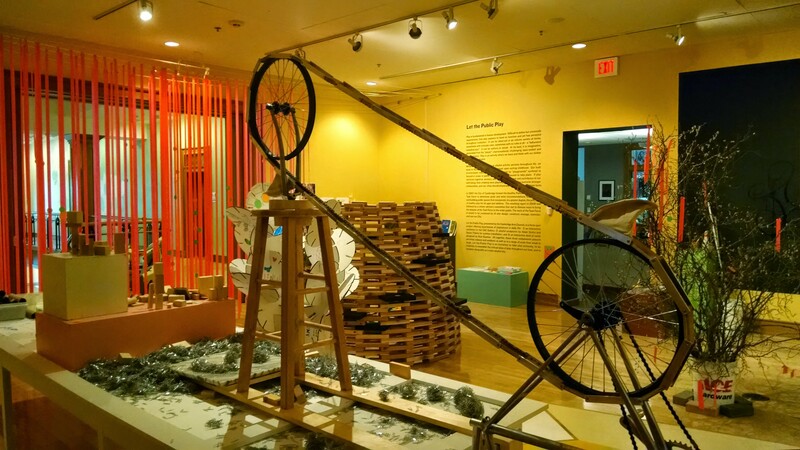 One important opportunity in both risk-taking and risk-mitigation is to invite outside voices into the museum process, as advisors, local or content experts, and enablers. Margaret offered up this worksheet as a way to identify who can help fill the holes in your project development team. This sounds exciting, but where do I even start? My collection is huge and pop culture’s even bigger. This is where calling on your friends and family, coworkers, local librarians and booksellers, and the internet can help. 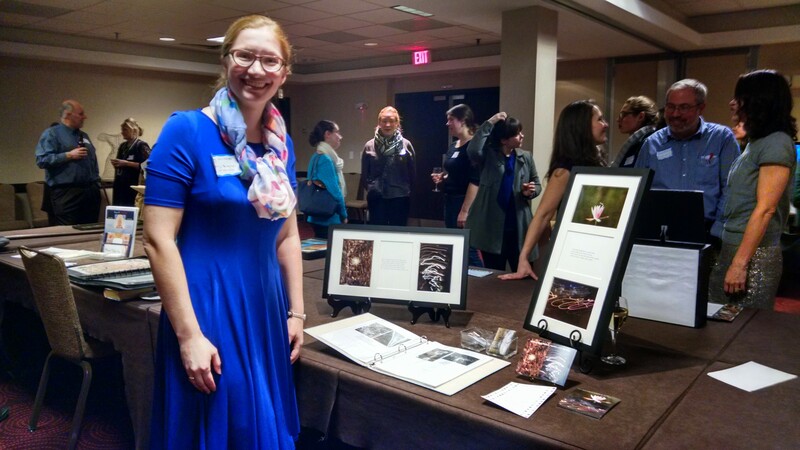 Everyone has a passion, which usually comes with insider knowledge: book and movie release dates (helpful with the timeliness factor aforementioned), connections to specific communities like book groups, crafting circles, or fan conventions, etc. You can start with some of the topics listed in the slideshow above under “geekstorming activity” as well. Some are specific and time-sensitive (Hamilton is the hot new thing on Broadway that’s getting attention from lots of previously-non-theater-goers), others are more general (board and video-games are perpetual favorites as a broad topic). Then use this worksheet (geekstorming template) as a visual way to tie the objects or strengths of your institution, plus people in your circles who might be able to help you, to specific topics. In the afternoon, museum consultant Emily Robertson told us about her work with the Star Wars: Science Meets the Imagination exhibition produced by the Museum of Science, Boston, and Nick and Jillian Perry, the founding artists of Emporium 32, spoke with Bob Perry of CRMII about the triumphs and pitfalls of running a large town festival with niche appeal, the Watch City steampunk festival. Don’t be afraid to ask for what you want. You never know who’s going to say yes. Keep your mission in mind. The educational goals are what’s important, and what will defend against the nay-sayers. Listen to the fans (but plan for non-fans as well!). Expect that your audience and returns will build over a series of years; plan for it. Don’t expect immediate success. Work with the community you want involved throughout the year, not just when you want them to turn up/volunteer at your event. Host meetups, offer other ways for them to greet and engage with each other and your institution. Recognize that a big festival event is a huge time commitment; plan for having staff or a paid outside coordinator; volunteer coordinators can be great, but not always as reliable as you want. Emily Robertson talks about bringing hovercraft, droids, and hyperspace to real life at the Museum of Science. Right at the end of the day we touched on some interesting topics to hopefully explore further at the NEMA Conference in November. Here are a couple of questions to consider, and I’d love your input in the comments below! A lot of ‘pop culture’ (including past classics that are still popular) is very mainstream/white/Eurocentric/majority-dominated. How can museums help widen the discussion and give space to other voices and stories while using more familiar pop culture as a hook to bring people in?